This article describes how to compile the OpenScales mapping library for Flash in FlashDevelop 3. OpenScales is an open source LGPL library for displaying interactive maps using Flex and Actionscript. It has many of the features of OpenLayers. FlashDevelop 3 is a free Flash development environment and can be used with the Flex SDK from Adobe. Mapnik is a nice open source library for generating maps. The typical data source is OpenStreetMap style data stored in a PostgreSQL/PostGIS database. 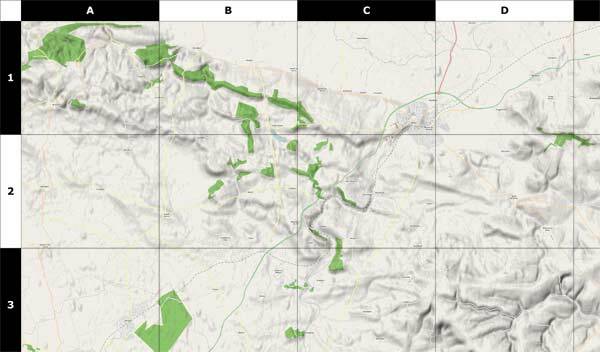 This post examines how to understand and control the map scale and generate maps suitable for printing. A map scale looks something like 1:1000. This means that for every 1 inch on the map there are 1000 inches in the real world. The units don’t matter, for example it also means that 1 meter on the map is 1000 meters in the real world. The value 1000 shown in this example is called the Scale Denominator. Maps (in the context of this discussion) are generated using pixels. This is true even if printing because ultimately the printer has to print the pixels onto the paper (assuming a raster output). At low resolutions the pixels will be easily seen. Not so at high resolutions. In Malibu, Calif. there have long been disputes between the rich and famous and the public over access to certain beaches. One of these is Trancas Beach (a.k.a. Broad Beach). In the 100 or so houses along this beach are the homes of some of the most famous people in Hollywood. Under the California Constitution (Article X, Section 4) the public is allowed access to certain areas of beach, but the rich and famous apparently want to keep it all for themselves. They even bulldozed the sand to protect their homes but ruined the public section, before being made to undo the damage. This beach has two public access walkways, but they can be hard to find. They are located between houses and are narrow. According to some reports the local residents try to obsure the locations and put up false signs to deter people. Last weekend (August 2009) I went to the beach armed with my GPS unit. I recorded the western public access and I have now added it to OpenStreetMap. Within a few minutes it was rendered (showing the location, steps and the gate). Now everyone will be able to put this onto their maps and GPS units, easily find this public access point and enjoy free parking and a quiet beach! I am planning a road trip and thought about using Twitter to send updates from the road. As my phone doesn’t have internet access and emailing using the Samsung interface is difficult, I would be restricted to text messaging. However I really wanted a way to post tweets with a link to a map showing my approximate location. Ideally it would allow vague descriptions such as “Euclid and Stone, Tucson” as well as latitude and longitude, e.g. “N 32. 16.123 W 110 18.654”. Surprisingly a search turned up very few options. There is, however, a service that already does everything I want, and it’s called Geo.ly. So why not use it I hear you ask? Well there are two large problems. Firstly the twitter interface doesn’t seem to be working right now and appears to have reliability problems. Secondly about 20% of the time the service will give you a URL to a map that doesn’t work – all you see is a blank page. After a bit more fruitless searching I sat down and wrote my own PHP code that pulls everything together. Here is how it works. There is a free text messaging service called TextMarks that converts text messaging to/from HTTP requests and responses. All that’s needed to send and receive text messages is to write a PHP (or CGI) script and put it on a web server somewhere. I tried it and it really is a piece of cake. Next was to convert the text description of a location into latitude and longitude. For this Google provides a free geocoding system, providing that the results are shown on a Google map. After a bit more work I had this working and it can accept a wide variety of input descriptions. For example the ones I listed above plus things like “Grand Canyon National Park”. Perfect. The final piece of the puzzle was to automatically post the tweet with the location of the Google map using the Twitter API. I found that Twitter automatically shortens URLs in tweets using the bit.ly service. So now I can send a text message with a rough description of my location, the location is converted to coordinates, a tweet is generated with a link to the map and a confirmation text message is sent back to my phone. This typically takes about 15 seconds. Nice! Create a TextMarks account and edit the configuration. Disable messaging and any public options for your TextMark – after all you don’t want other people posting locations to your twitter account. Edit the script and enter your Twitter username and password. Also enter your Google Maps API key (which is free). Note that there is no authentication used in the script. This is because the script is not linked to, uses an obscure name (not twitter.php, which is just an example name), and the TextMark is private. However, if desired, the TextMarks service can pass the phone number to the script allowing for only specific phones to use the system. A public version would, of course, need more input checking, user authentication, etc. This is a description of how to quickly get going with OpenStreetMap. It is primarily aimed at people who don’t have a GPS unit or don’t want to use one. It’s also aimed at people who want to quickly add something to their local area. It is not a replacement for the OSM wiki. First download the current version of JOSM, which is a Java based editor. You will also need to install Java 1.5. You can also read more about JOSM here and here. Next you need to tell JOSM your OpenStreetMap username and password. Next install the WMS Plugin for JOSM that will allow you to view Yahoo satellite images. Next you will want to download the part of the map that covers your local area. Drag a box with the left mouse button to select an area to download. Keep it small for now. You will now be looking at a black screen with lots of lines on it. Zoom in to a few streets using the magnifying glass tool on the toolbar. The next step is to get the satellite images so we can see how the streets compare with the real world. At the top right under the Layers heading a new layer should appear called “Yahoo Sat” or something like that. Wait a bit and the images should start to appear. It’s now time to start editing. It should be clear if a street is not aligned with the Yahoo images. If it isn’t then you can click on the Select tool on the toolbar and start dragging the nodes (small yellow boxes). Position a road over where it is in the satellite image. Once you have fixed a few roads click on the Upload to OSM toolbar button. Once complete you can go to your OSM account page and view your edits. The URL is http://www.openstreetmap.org/user/myusername/edits. Replace “myusername” with your user name. You should see your first edit! After waiting a few minutes your changes should start to appear on the map. Mapnik (the default renderer) renders the lower zoom levels more frequently, so you should see your changes appear in stages and only in some zoom levels. After a day or so all the lower zoom levels should show your changes. The Yahoo satellite images are not always in the right place, but it seems from my experience they are pretty good. However this is something to keep in mind. Along with fixing streets, it’s also possible to add in schools, malls, hospitals, businesses, rivers, streams, parks, etc. all by using the satellite images. There is plenty to do!